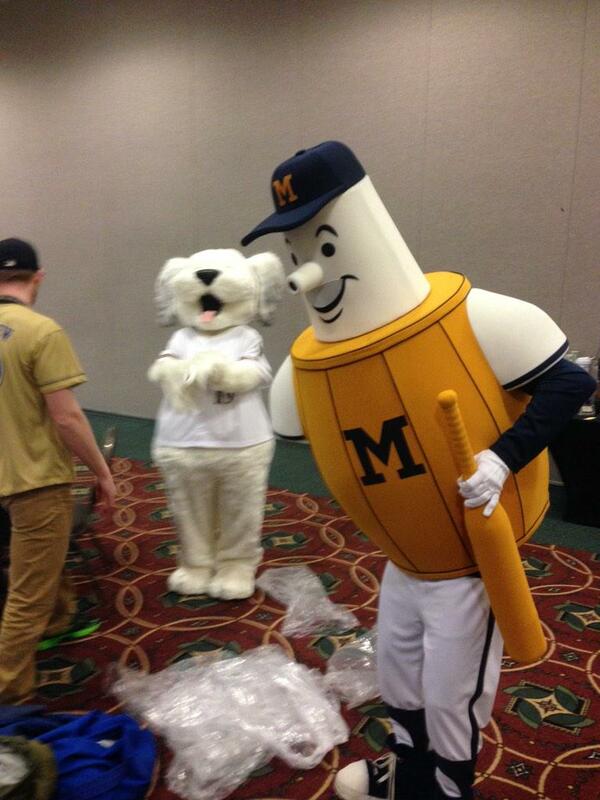 This morning, at the annual "Brewers On Deck" offseason event, the Brew Crew unveiled a new costumed mascot, one with long roots in Milwaukee baseball history. I've been pushing for this for a decade, having suggested it to the club when then-president Ulice Payne took over in 2002 and began soliciting fan feedback. The Barrelman, also known as the "Beer Barrel Man", is a modern version of the classic Brewers mascot "Owgust". A squat figure with barrel for chest and tap for a head, he was introduced in 1942, during Bill Veeck's time as president. 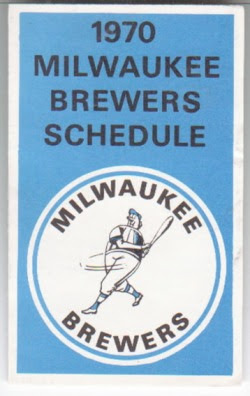 He was later adopted by Bud Selig as the mascot for his eventually-successful quest to bring Major League baseball back to the Cream City after the Braves skipped town. Specifically, Bud used a version introduced in 1947. He was used by the club until 1978, when he was replaced by the ball-and-glove that came to define the club. He has made a comeback on merchandise in recent years, and will now be appearing at each and every game at Miller Park.